Interior aspirations: an open floor plan, relaxed decor, natural light and livability through casual arrangement. 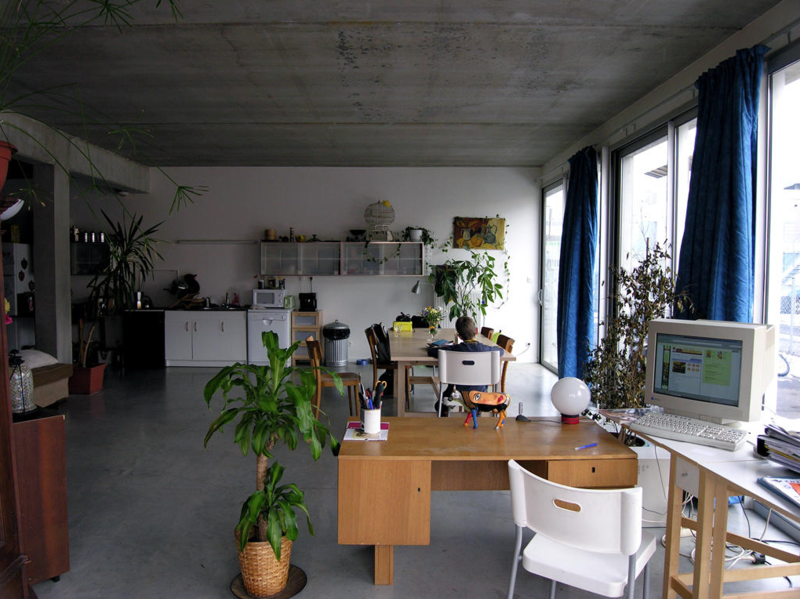 We find all of these qualities in the experimental public housing created for the city of Mulhouse, France by architects Lacaton & Vassal in 2005. 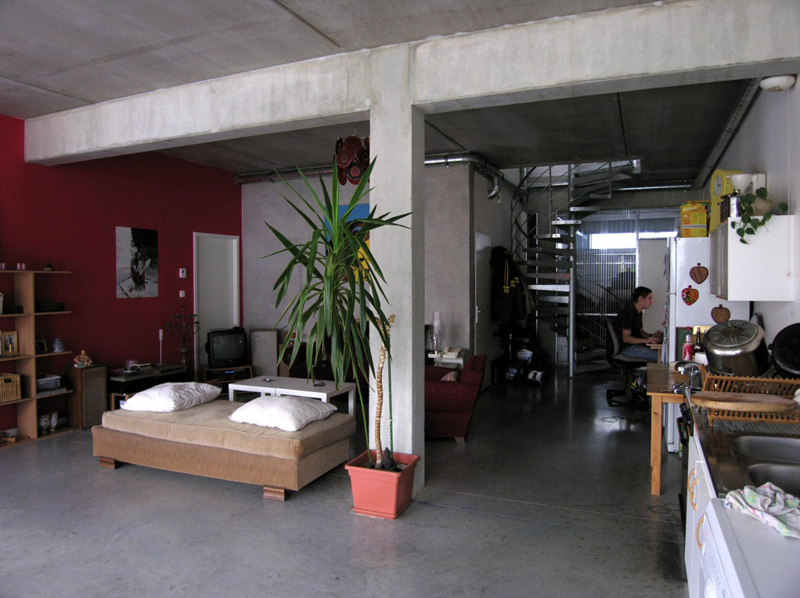 The photos below depict the the lived in interiors three years after the projects completion. From Lacaton & Vassal: "This project for 14 single-family houses is part of an operation for 61 dwellings created by five teams of architects in the extended space of a housing estate in Mulhouse. Our aim is to produce quality houses that are, for the same price, considerably larger than the standardized housing usually met with. To begin with, the creating of a structure and a cheap and effective simple envelope enables us to define, on the loft principle, a maximum surface area and volume with contrasting, complementary and surprising spatial qualities." "On the ground floor a post/beam structure in concrete supports a platform at a height of 3m, upon which horticultural greenhouses are fixed. 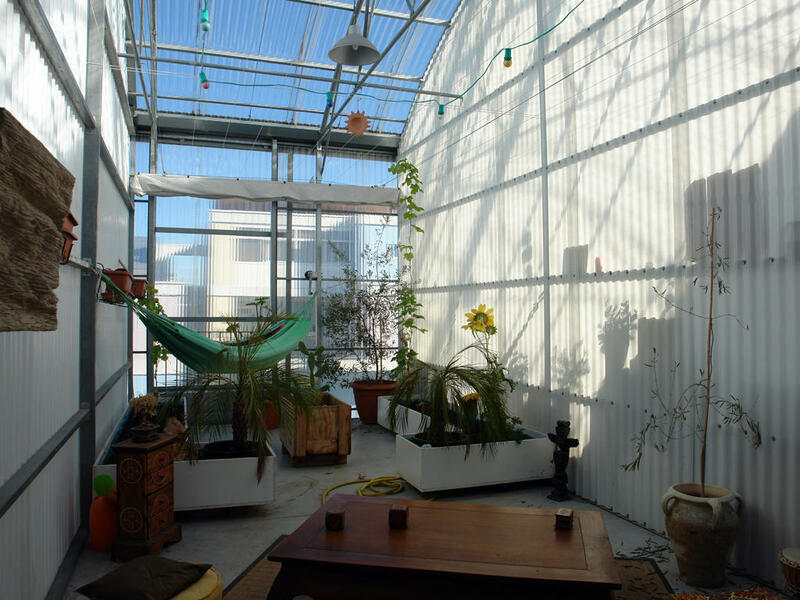 The frame is in galvanized steel, the walls in transparent polycarbonate. 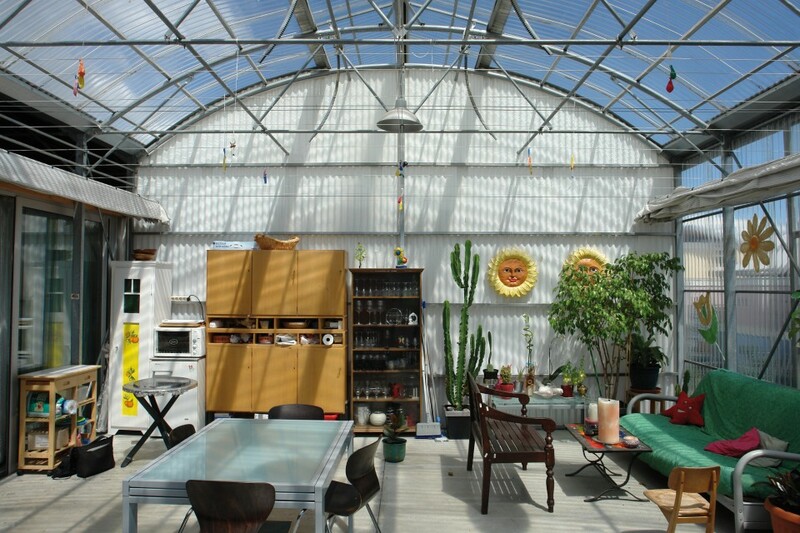 Part of the greenhouse is isolated and heated. 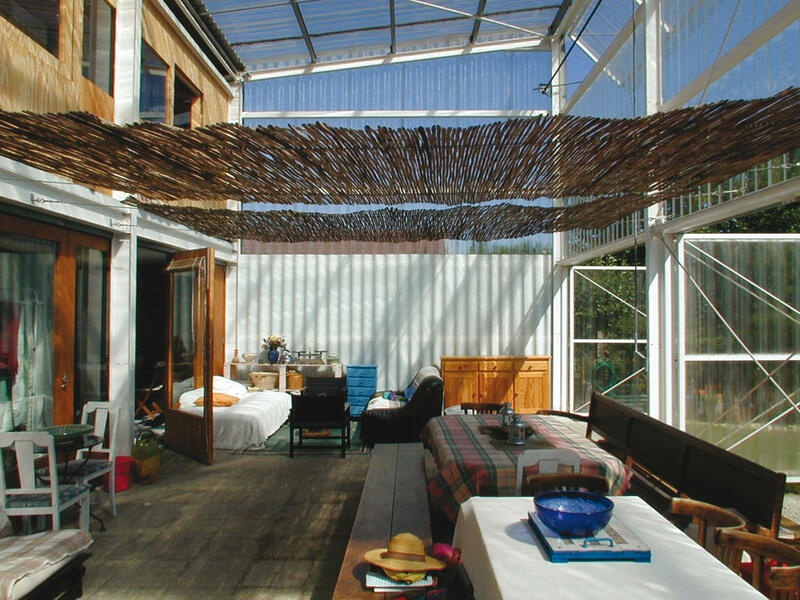 The other part constitutes a winter garden, largely ventilated via the roof and facade. 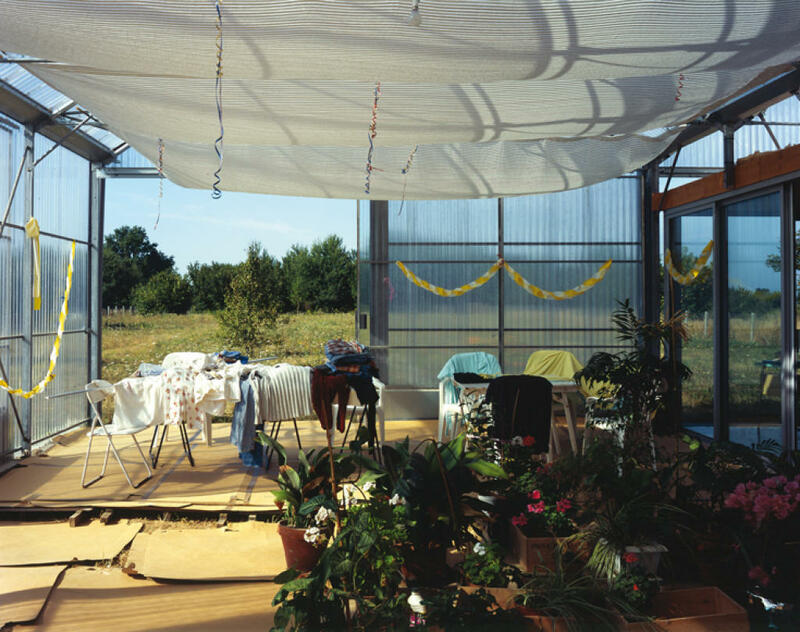 A horizontal sunshade unfurls inside the greenhouse." "The greenhouse principle, with its automated climate-control devices, has enabled solutions to the bioclimate to be developped. Later on, we divide the volume into 14 dwellings, set crosswise in duplex form, which profit from all the different qualities of offered by the diversity of the spaces."